Stanford’s living archive: Architect William McDonough’s entire life is an open book. Stanford is recording everything this guy does. Architect William McDonough is having all of his speeches and meetings recorded as part of Stanford University’s first living archive. 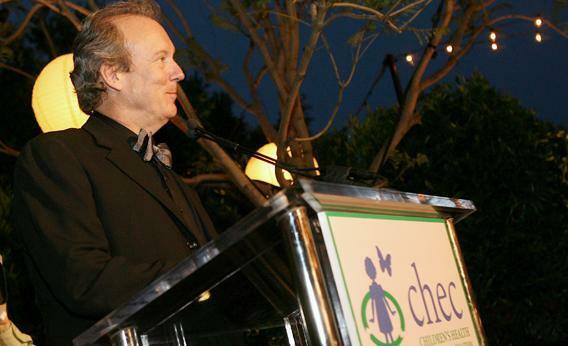 William McDonough is an architect specializing in sustainable development. He is recording every aspect of his working life for a comprehensive digital archive launched by Stanford University. Nic Fleming: You are the subject of Stanford University’s first living archive. What does that involve? William McDonough: Most of my meetings and speeches are being filmed and phone conversations recorded. They are dated and archived along with tweets and emails, as well as physical drawings and records. We are trying to design the process so that my creative work is not disrupted. A guy in the office next to mine takes care of the technology, records, and cataloging. NF: What kind of material is being gathered? WM: Right now I’m designing a factory in India that is covered in greenhouses and solar collectors. It also collects water, deals with cooling and heating, and makes oxygen and food. The conversations during the design process as these ideas bubble up are incredible. Before, they were just lost. Now I look around and say, “Did we get that?” Next, we have to figure out ways of flagging interesting bits or putting material in topic lists. NF: How do you feel about being the focus of such a comprehensive archive? WM: It’s obviously a great honor to think that what I do might be of interest. The project builds on the tradition of people leaving their work or their records to the next generation. What’s particularly fascinating is making the information available while I’m still alive. NF: If the practice becomes widely adopted, how will it change things? WM: It’s a seed that has just been planted, so to some extent we’re still in the dark. One key element is that people will be able to see the dialogues and thought processes that lead to the way things are executed. We will get a much more finely grained, unedited, honest view of things. WM: There are situations in which people might want to have a private conversation about family or health, and I never force the issue. We’re still working out the details, but my intention is that we will check with anyone involved in meetings and conversations before anything is publicly released. Some might have concerns about intellectual property, but my view is we just get going, trust each other, and if there is a question over whose idea something was, there’s a clear record on tape. NF: Does recording interactions change them? WM: For the most part, no. I’m delighted that so many people I work with are just honest and being themselves, so they don’t care about being recorded. But in some cases I think it has changed things. It’s interesting to see how this Heisenberg effect—the idea that simply observing something can change it—takes shape. Some people might take a meeting more seriously because they realize that every act is history in the making.